The U.S. and India agreed Thursday to open a secure military communications hotline. The move could allow the U.S. to sell India sensitive defense technology, including armed surveillance drones, reports Reuters. 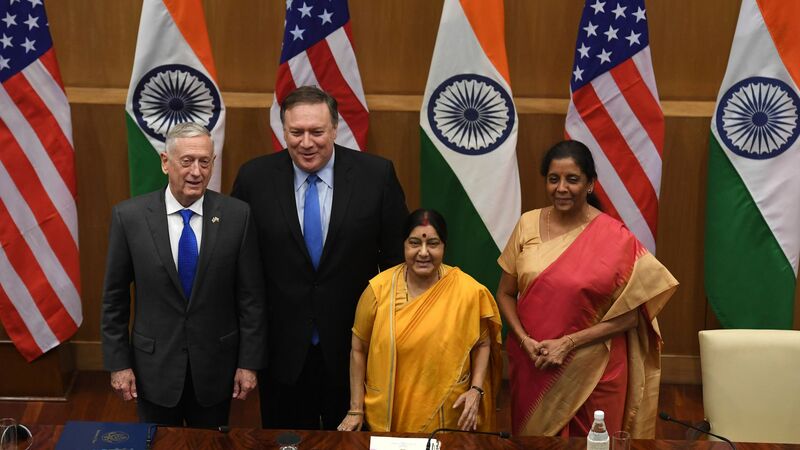 The big picture: Secretary of State Mike Pompeo and Defense Secretary Jim Mattis are in New Delhi for "2+2 talks" with their Indian counterparts. Per Pompeo, the agreement marks a major "milestone" in the bilateral relationship, as both the U.S. and India seek to counteract shared threats posed by militant groups in Pakistan and the rising influence of China.